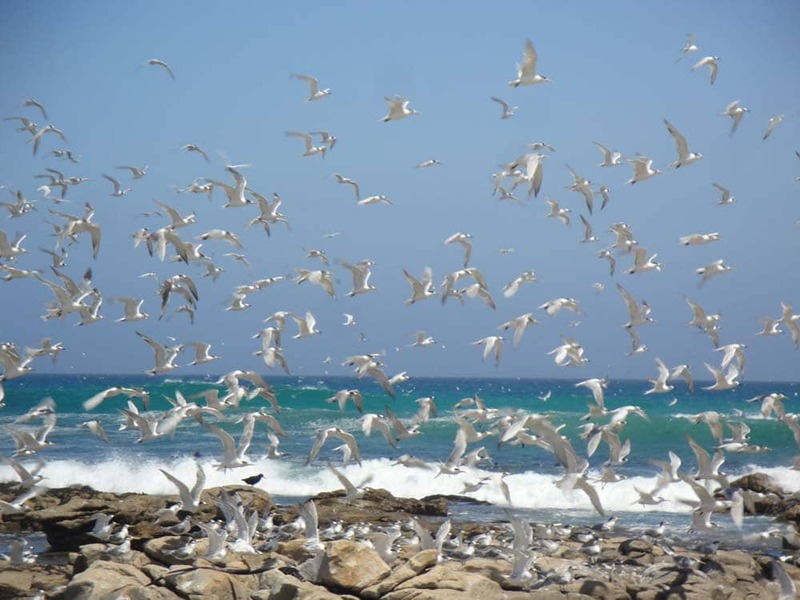 Home to eight per cent of the world bird species, South Africa is a top bird watching destination. 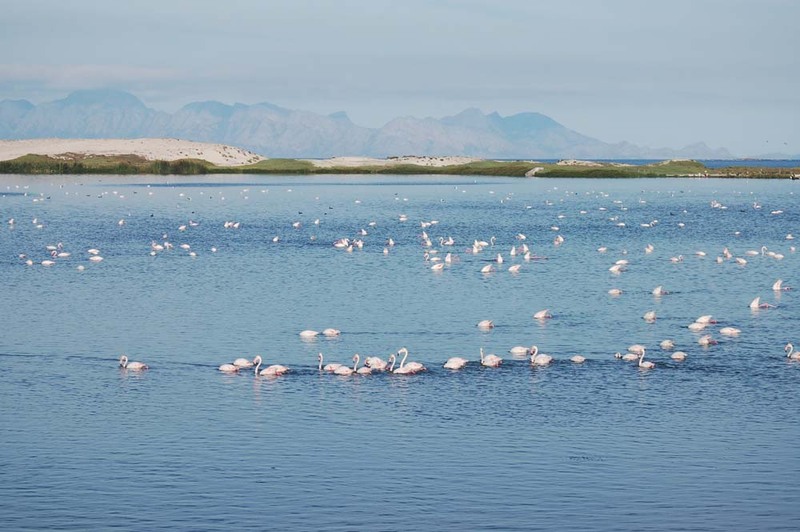 And with half of the country’s bio-diversity found in the Western Cape, it’s only natural that the Cape’s birdlife is as fascinating and diverse as its flora. 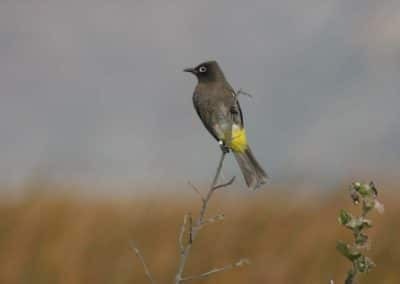 Cape Town birding may not yield the same number of birds found in South Africa’s classic birding destinations of the Kruger and KwaZulu Natal, but my birding tours make the most of local habitats to deliver a rich mix of birds. 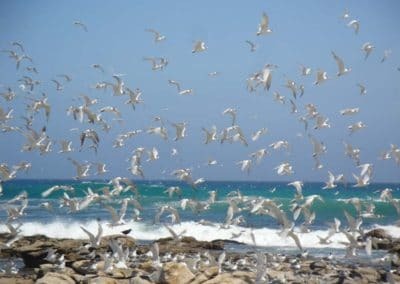 A drive of an hour or so takes us to birding hotspots on the Cape Peninsula or out of town on the West Coast or in the rural Overberg region. 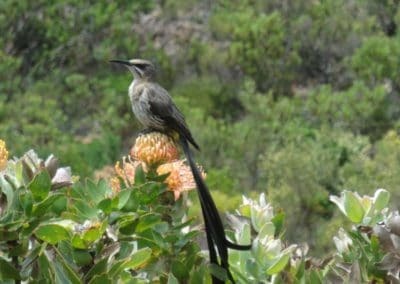 Moreover, what Cape Town lacks in number of species is made up for by the fact that 60 of Southern Africa’s 86 endemic birds are found in the Western Cape, many on the gentler slopes of Table Mountain, hopping around in urban gardens and cruising past Cape Point. 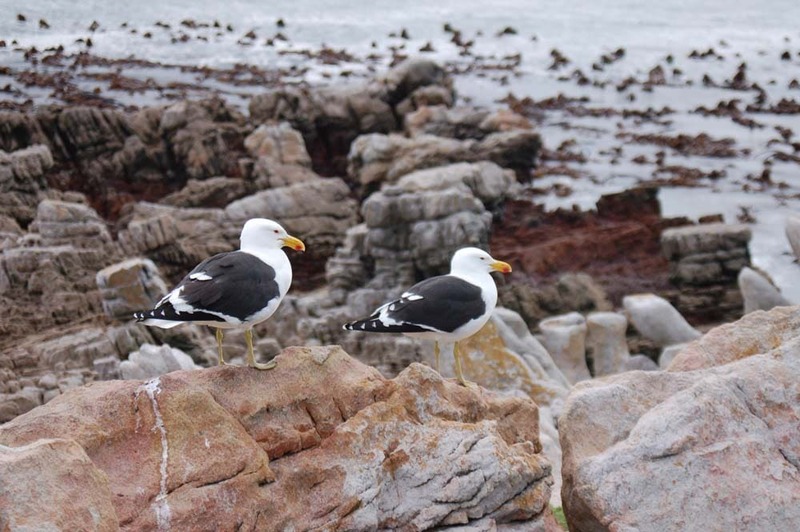 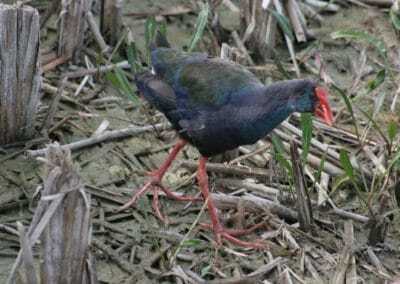 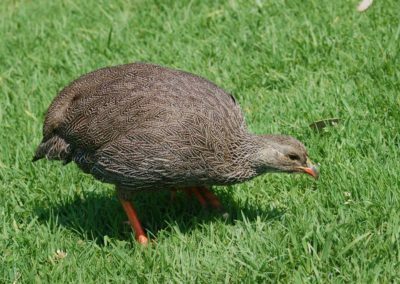 Find out more about Cape Town’s birds and the Cape fauna here. 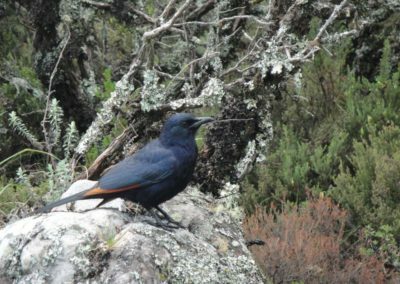 I offer private birding tours for bird watchers ranging from beginners and general interest birders to twitchers and those seeking a special or two. 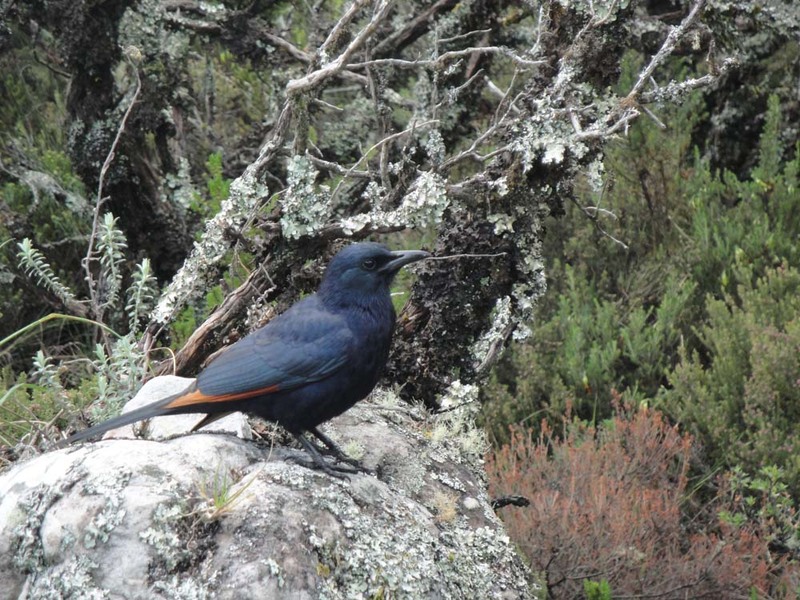 Cape Town birding tours are generally a combination of two or three or even four different destinations, depending on interests and season; the bird watching itself is a blend of birding by car and on foot. 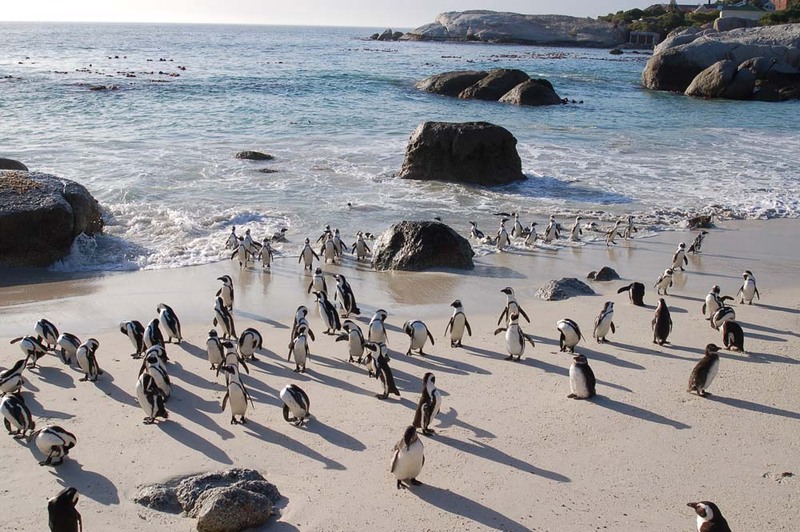 We’ll take short walks too – around botanical gardens and on beaches for example – but the going is very easy and suitable for photographers with cameras and equipment to carry. 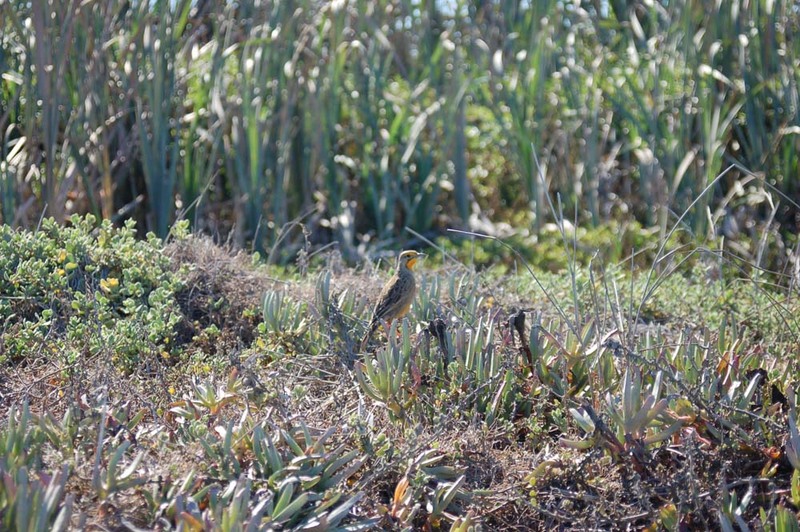 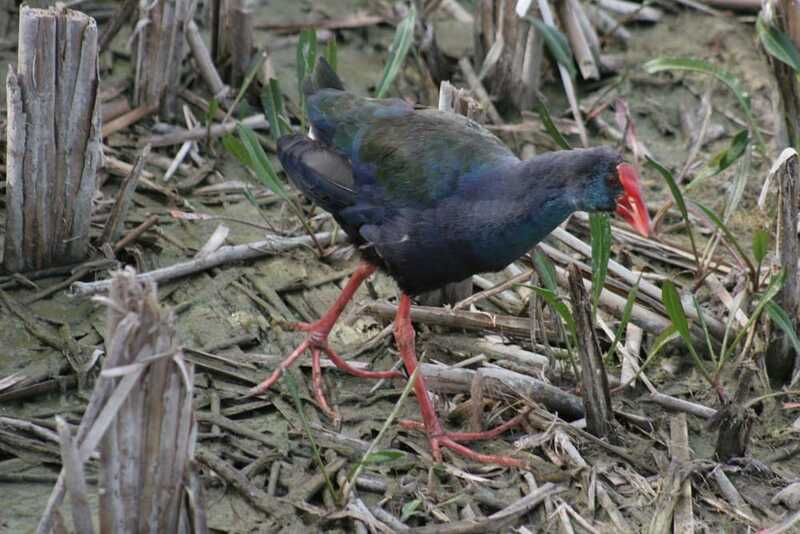 A birding tour is a full day, and you’ll enjoy tea and fresh coffee plus a picnic lunch. 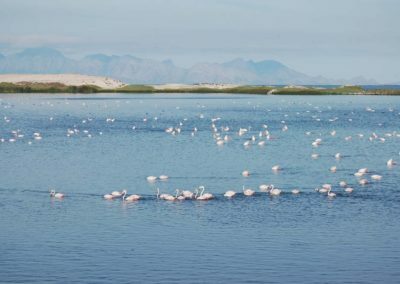 The itinerary usually revolves around Cape Town’s ‘Big Two’ birding hotspots – Kirstenbosch Botanical Gardens and Strandfontein Sewage Works. 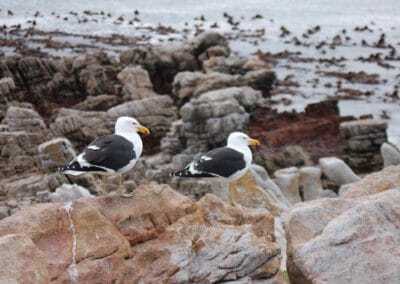 Kirstenbosch delivers a great mix of fynbos, forest, thicket and garden birds; Strandfontein is famous for flamingos as well as pelicans, seabirds, waterfowl and waders – nice for raptors too: African marsh harrier and black-shouldered kite are resident. 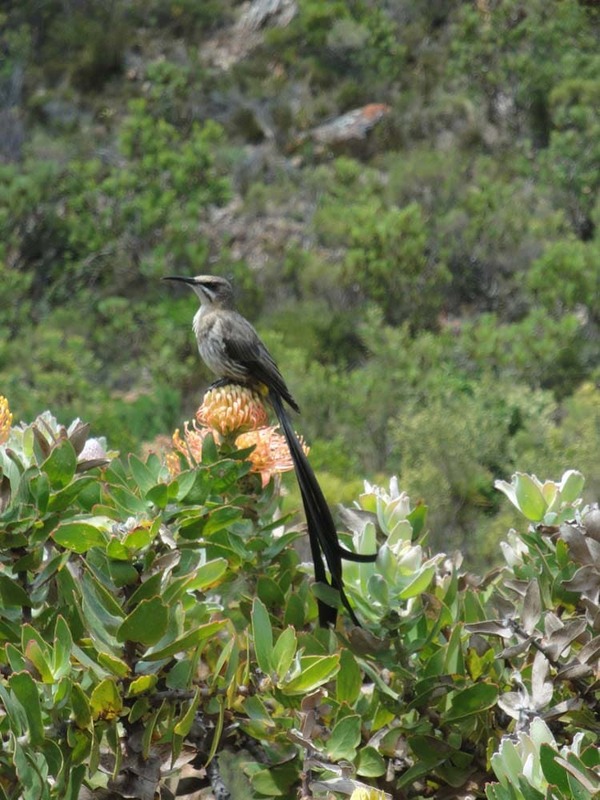 Other birding destinations on the peninsula include a wetland nature reserve, the wild beaches and thicket hinterland of the Cape of Good Hope Reserve, and bird-rich pockets on Table Mountain – learn more about Cape Town’s best birding spots here. 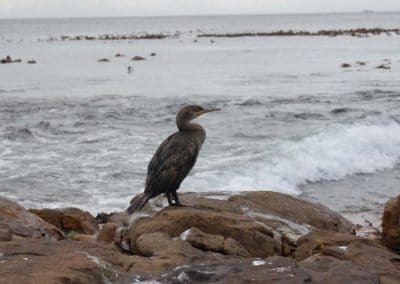 The Cape Peninsula’s birding hotspots can be covered in a day; you’ll need another day for the excellent bird watching destinations found out of town. 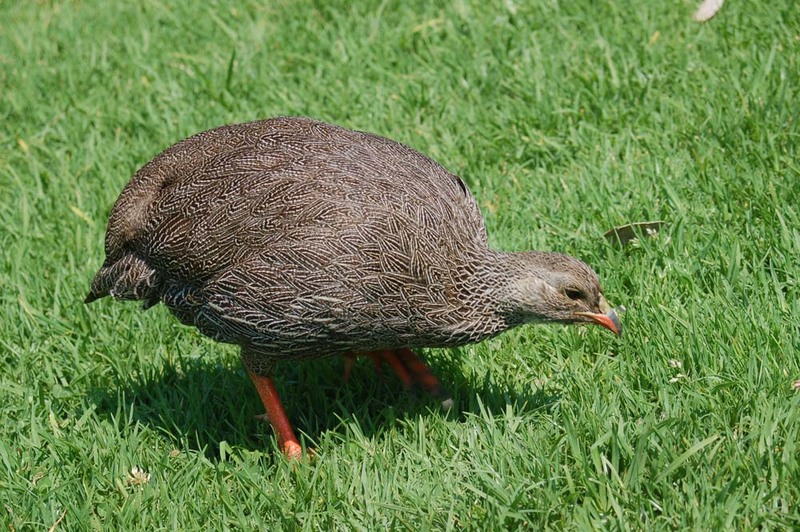 And in doing so, you can also expect to add a few more birds to your list. 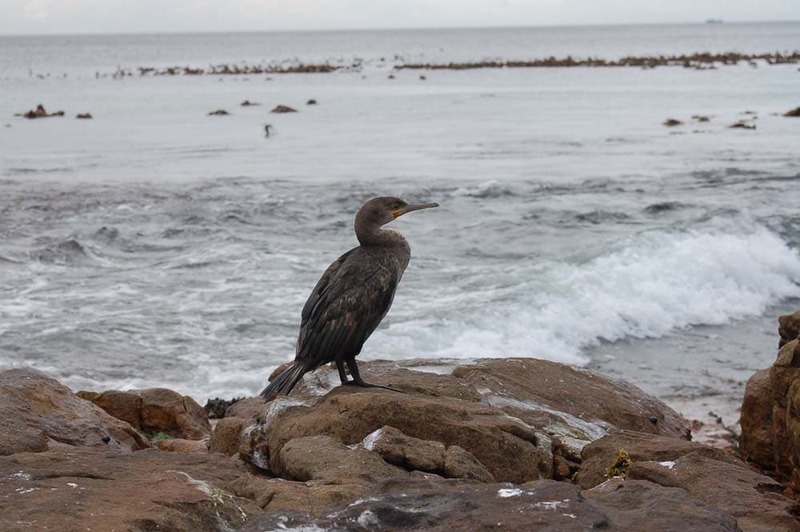 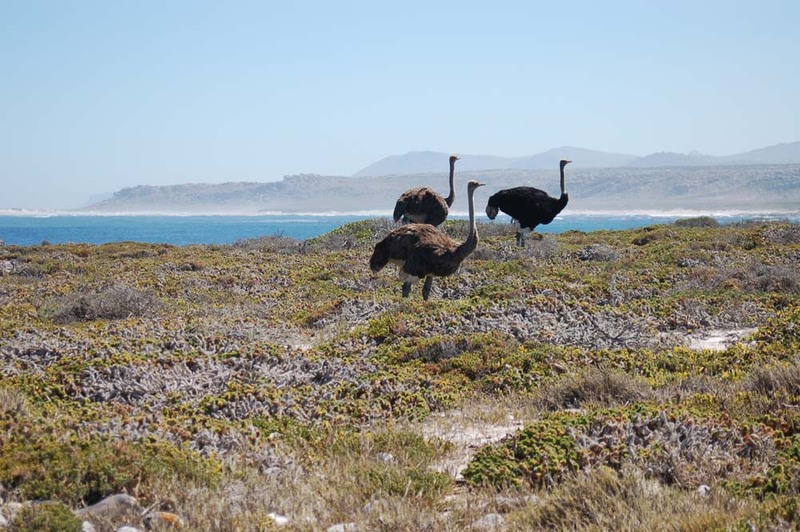 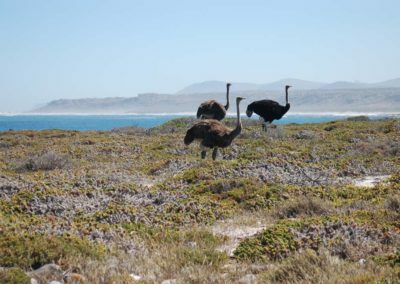 Many birds that do not occur on the Cape Peninsula – blue crane and Cape rockjumper for example – are found in destinations just a short distance from Cape Town. 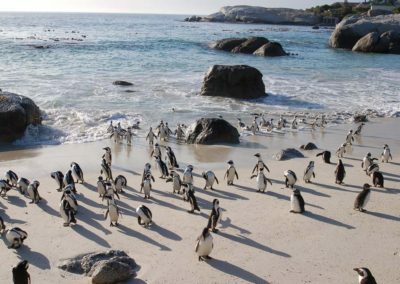 Head north for the West Coast National Park and its world-famous Langebaan Lagoon, an important wintering site for northern waders; drive east along the Overberg’s Whale Coast for Stony Point penguin colony and a bird-filled botanical garden plus pristine fynbos reserves and coastal wetlands.